We are at Day 8 of the 2014 Canadian Cyclist Christmas Gift Guide. Today we are recommending tickets to the Pan Am / Parapan Am Games to be held this July and August in the Toronto region. This is a rare opportunity to attend a major Games. 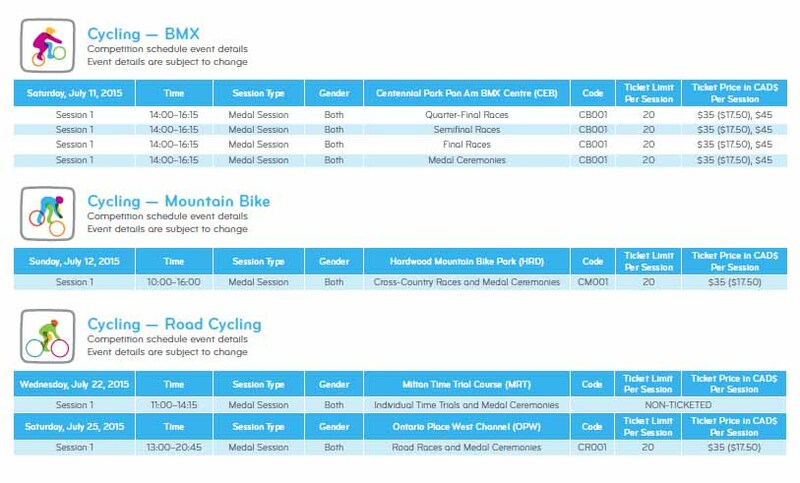 You can choose from Road, Track, Mountain Bike or BMX for the Pan Am, or Road and Track for Parapan. Tickets have just gone on sale. 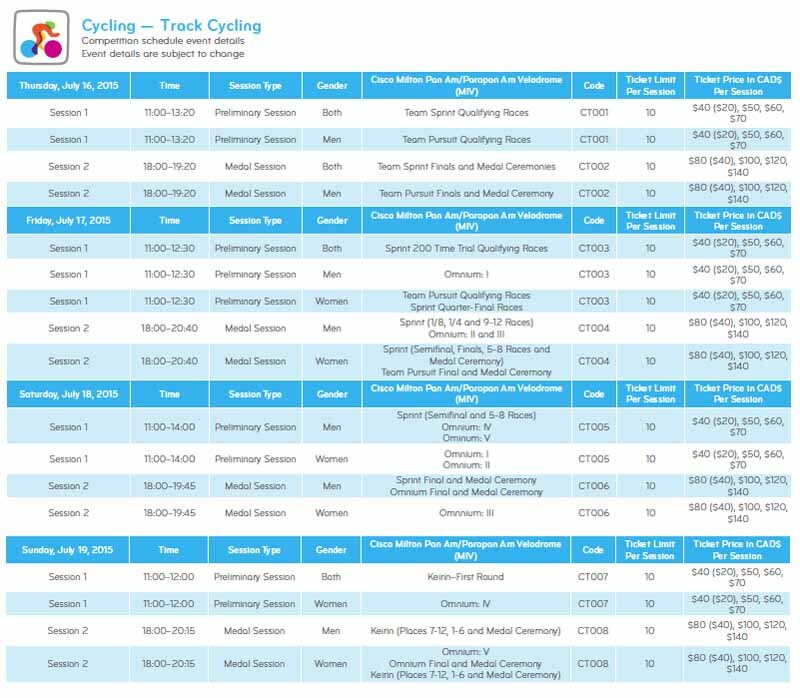 While some of the more popular sessions, such as Track racing medal finals, will sell out quickly, you can see just as much in preliminary rounds. BMX, Road and Mountain Bike tickets are all $35-$45, while Track ranges from $40 to $70 for preliminary sessions and $80 to $140 medal sessions (as a bonus, the Road Time Trial will be free). Parapan ticketing is not yet available. Ticket information and purchases can be found Here.